The First Poster Revealed For Gareth Edwards’ 'GODZILLA' Re-Boot! 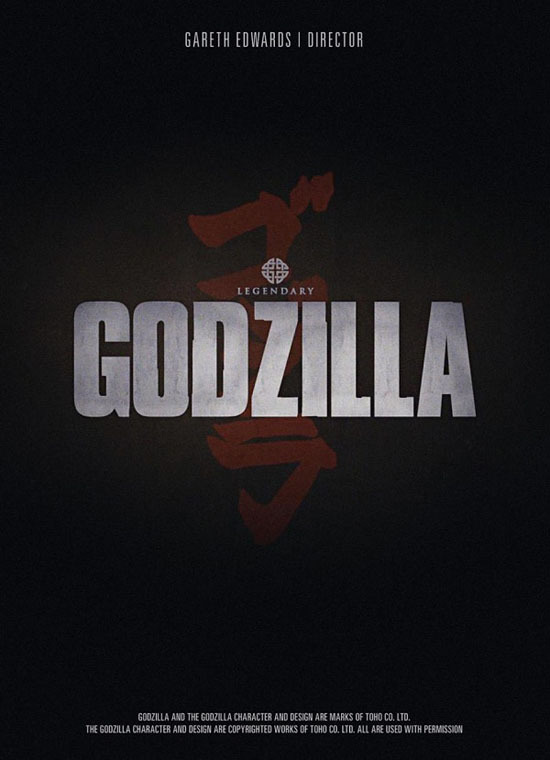 Legendary Pictures have premiered the first poster for their Godzilla reboot, which followed a screening of the first-look teaser trailer for the movie at Comic-Con yesterday. ShockTillYouDrop reported that "The opening WB and Legendary logos are B&W with a font like original Japanese writing. The footage pans across a city that has been utterly destroyed. We hear a voice over a radio talking (the voice of Robert Oppenheimer) about the end of the world. It looks like another giant creature’s body is in the wreckage. We hear the classic Godzilla scream from the smoke, we see something enormous. We’re following a camera up Godzilla’s back, showing his scales. We see his face, but it’s almost a silhouette. It looks a LOT like the classic Godzilla design but with a slightly fatter face." Gareth Edwards [Monsters] is set to direct the flick based on the towering angry asian, which is currently in development at Legendary Pictures. I'm reading: The First Poster Revealed For Gareth Edwards’ 'GODZILLA' Re-Boot!Tweet this!